Two youths arrested on suspicion of murdering an 11-year-old boy in Liverpool have been released on police bail after being questioned by detectives in the city. 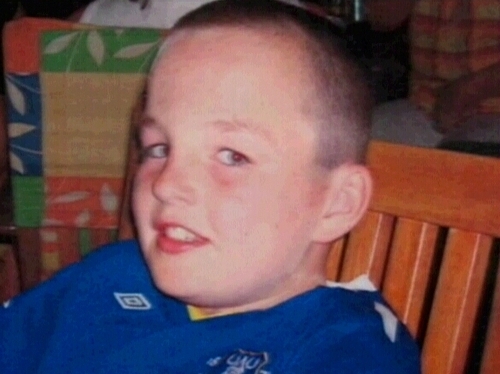 Rhys Jones was shot dead in a car park at around 7.30pm yesterday evening in the Croxteth area of the city. Earlier today, Merseyside police arrested the two youths aged 18 and 14. The youngster was playing football with two friends when he was shot by a teenager who rode past on a bicycle. The boy was taken to hospital with serious gunshot wounds, and was initially said to be in critical condition, but was later confirmed to have died. British Home Secretary Jacqui Smith said she was 'desperately sorry' for the boy's family, saying it was awful for both the family and the local community. British prime minister Gordon Brown said the boy's murder was a 'heinous crime' that had shocked the whole country. He added that the people responsible would be tracked down, arrested and punished.